Bok choy, pak choi, bok choi, however you spell it, is an Asian green and a must have for stir fries. 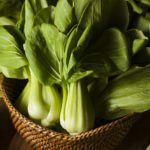 This cool weather vegetable is easy to grow with a few simple instructions including proper spacing requirements for bok choy. How close do you plant bok choy? Read on for information regarding bok choy planting and spacing. Time the planting of bok choy so that the plant matures before hot summer days or cold winter nights arrive. Bok choy doesn’t like to have its roots disturbed so it is best to direct sow it into the garden when temperatures are 40-75 F. (4-24 C.). Because it does have shallow roots, bok choy does well in shallow beds or as container plants, and careful attention should be paid to spacing requirements for bok choy. Bok choy should be planted in an area that is well draining and rich in organic matter with a soil pH of 6.0-7.5. 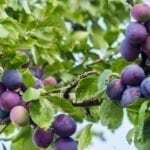 It can be planted in full sun to partial shade. Partial shade will help keep the plant from bolting as temperatures begin to warm. Plants need consistent irrigation. This biennial is grown as an annual and can get to a couple of feet (61 cm.) in height. Because it has a shallow root system, and plants can get 1 ½ feet (30-46 cm.) across, careful attention to bok choy spacing needs to be made to accommodate both these issues. Plant bok choy seeds 6-12 inches (15-30 cm.) apart. Germination should occur within 7-10 days. Once the seedlings are around 4 inches (10 cm.) tall, thin them to 6-10 inches (15-25 cm.) apart. Plants should reach maturity and be ready for harvest within 45-50 days from sowing.